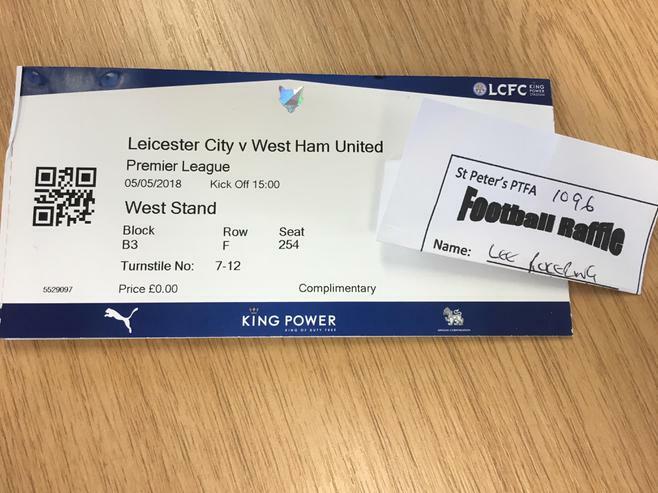 Congratulations to Lee Pickering who won 4 tickets to see Leicester City play West Ham on Saturday 5th May 2018. Thank you all for your support with this last minute raffle. We raised an amazing £116 for our PTFA. They will let you know shortly how they intend to spend the funds. Well done again Lee, and have fun Saturday.